Motivated by our commitment to sustainable socioeconomic development across Jordan, especially within disadvantaged communities, NAMA Strategic Intelligence Solutions has partnered with John Paul II foundation and a number of local and international partners to initiate the first phase of a developmental agribusiness project in Fifa Valley in Karak by investing in the plantation of Aloe Vera. This project is expected to directly alleviate the lives of 150 smallholders in the region, 40% of whom are women and youth. In essence, the project will create occupational opportunities for disadvantaged people, representing an engine of social inclusion. The producers interested in participating in the project will be selected on the basis of their motivation and the extension of their land, favoring the small producers. 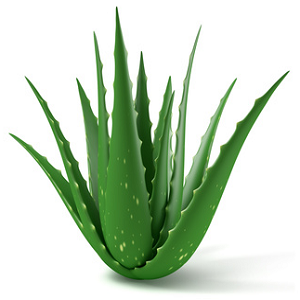 It is also estimated to benefit over 1,000 people involved in the Aloe Vera chain, such as the families of the local incorporated farmers. In addition to the leading partners John Paul II Foundation, NAMA has partnered with local partners such as Jordan Exporters and Producers Association for Fruit and Vegetables (JEPA); Royal Society for the Conservation of Nature (RSCN)– Wild Jordan (WJ); National Center for Agricultural Research and Extension (NCARE); Mutah University - Karak (MUni); and Cooperativa Ghor Madsous (Coop. GM). In addition to international partners such as: Consiglio Nazionale delle Ricerche – Istituto di Biologia Agroambientale e Forestale (CNR); Management Senza Frontiere (ManSef); and Fondazione Archeologia Arborea (FAA).